Hi ya everyone! 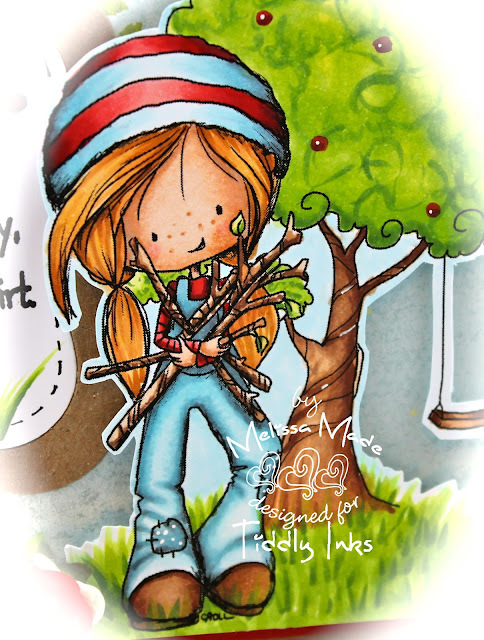 Back again with another ADORABLE Wryn from the NEW RELEASE images at Tiddly Inks! As if Wryn isn't cute enough in her little dresses and hanging from trees look at this sweet outdoorsy Wryn - Pick Up Sticks. Now, I didn't use the WHOLE set with my card but you have to see all the extras you get with her!!! I even think she comes with a sweet little tent too that's not shown! I love her and I created this card with her using Wryn's Tree as well. Don't forget again to head over to Christy's blog as we have all the design team inspiration and a number of NEW FREEBIES too!!! So head over and enjoy the fun! ooo!! Pretty scene Melissa!! The sentiment works so well with your card. Gorgeous coloring and the grass is unreal so is the tree! Love her overalls and freckles. Another lovely creation, thanks so much for sharing. This has a been a really fun week! too cute melissa! I love her freckles!!! love your scene and you colored everything beautifully especially that tree!!! I love the scene you made and such a fun sentiment. Coloring is absolutely fabulous! Gorgeous card Melissa! I love how you have used the tree with her and added lovely apples! Neat sentiment too! Aww, this is so gorgeous Melissa. stunning work, Melissa!! I love how you incorporated the tree behind her.. such fab coloring!! Great sentiment! It made me smile! Love her freckles you add, they are perfect. Super cute card!!! wow your coloring is totally Amazing!!! Adorable!! 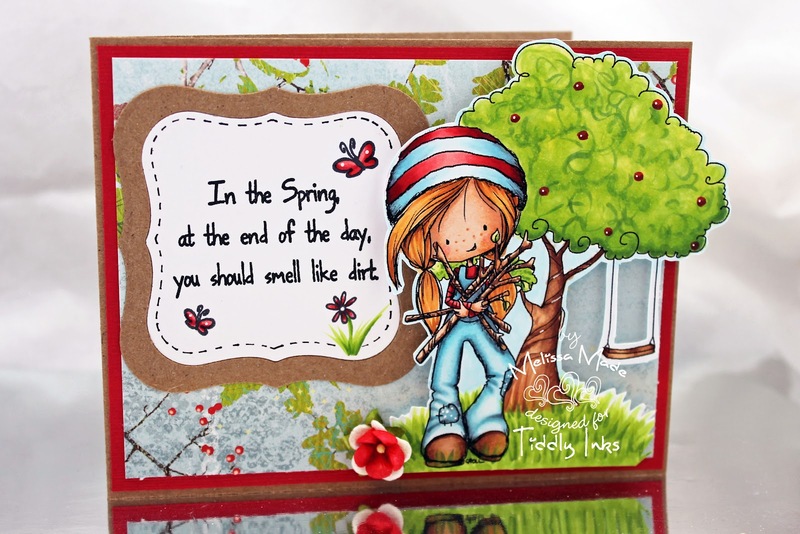 Love your coloring, and that sentiment is PERFECT! So cute. Love this new card, every detail is so perfect! I just had to chuckle when I saw your card. I have a very close friend that it made me think of. Your coloring is outstanding!!! I just LOVE this! That is my favorite sentiment on that stamp set. It is just perfect for spring! Every detail of this card is AMAZING! Your coloring is beautiful and I love that sentiment (one of my favs)! Thanks for the inspiration!